This time of year our weather swings from stormy to sunny. At the beginning of the week it was wet and windy. Looking towards Grief Point you could see the clouds building to a climax. And the ocean was responding with rough seas not fit for man or boat. It was time for my garden to go to bed for the winter. On the few sunny days I had at the cabin last week, I worked hard to get the last of my produce out (potatoes and garlic) and seeds saved (carrots and beans). Once that was done, the herbs were trimmed and the asparagus ferns cut down. 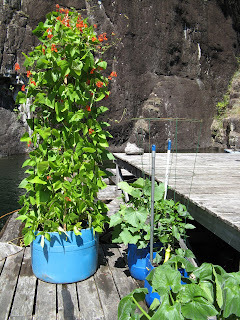 My raised beds on the garden float are only about 10 inches deep. I worry about my asparagus roots freezing and getting damaged. So each year when I cut the ferns down, I save the feathery tops to place on top for mulch. In addition, this year I pulled up part of my old strawberry bed (it needs to be replaced with younger stock), and spread the leaves under the fern tops for extra protection. So far mulching has worked well, and in late May the new asparagus shoots are ready for a tasty meal. Last Monday, Wayne and I were getting ready to take Pacific Coastal Airlines from Powell River back to Vancouver. It was quite a blustery day, so we weren't looking forward to a bumpy ride. When I got up at about 8:00, I saw a tug with it's large load heading south when I got up. I assumed they were going to tie up near Grief Point and wait out the storm. When I looked out again at 11:30, the tug was struggling with its load. We had to leave before the resolution, but here is what I saw. When time is short, and we want a fun travel experience, we fly between our home in Powell River to Vancouver International Airport (YVR) on Pacific Coastal Airlines. When we are traveling north from Bellingham, we catch our flight at the South Terminal where parking is plentiful and easy. It is only a 25 minute flight up the coast, but the views of Vancouver Island, the Strait of Georgia and the glaciated Coastal Range are superb. Come fly with me and see. Yesterday you read about my carrot seed saving experiment. It was two years in the making. Here's a more simple seed saving experience. If you've been following my blog, you know my garden space is limited to four raised beds on a cedar log float and containers on the deck of our cabin. Even with that small configuration, it provides Wayne and I will quite a variety (if not quantity) of fruits and vegetables. One of my more successful plants grown in a pot is green beans. I've chosen Scarlet Runner Beans for several reasons: 1) they climb tall, 2) the beans can be eaten or canned fresh, 3) the large seeds are good in soups and chili, 4) the seeds can be dried for storage, and 4) the lovely red flowers are attractive to humans and hummingbirds. Wayne doesn't cook many vegetables when he's alone at the cabin. So, when I returned, there were lots of beans dry on the stalks. The hard pods crack open easily to release the large seeds inside. To make sure they are completely dry before storage, I leave them out for a week or so on shelf in the warm cabin. Then some will go into paper envelopes and labeled for planting next spring. The rest will be used (after soaking) for hearty winter meals. On my July trip to the cabin, I found that my carrots from 2010 had gone wild. Normally I leave my carrots in the ground through the winter to pick as needed, but last year I didn't get back as anticipated. Consequently, my remaining carrots completed their two year cycle and went to seed. My friend Margaret here in Powell River suggested I try saving the seeds. She said covering the flower heads with muslin (I used cheesecloth) would contain the seeds. When I got home this week, the heads were all dry and ready to pick. There were more seeds than I could ever use, so I chose the biggest and best. Removing the seeds from the heads was easy. All I had to do was rub them with my finger and then fell right off. I did find a few aphids, so I finished drying them outdoors on the porch. There's plenty for me and for Margaret to share. Most birds migrate south for the winter. But this hummingbird flew all the way north from Seal Beach, California, to spend his winter (and all future seasons) at our float cabin on Powell Lake. The end of summer has come with changeable weather. One indicator in the sky is mare's tails. They are wispy high altitude cirrus clouds that can be an indication that stormy, windy weather is on the way. Cirrus clouds are made of water vapor that has formed into ice crystals. They are high clouds, about 8,000 metres (26,000 ft.) above sea level. Varying wind speeds at different altitudes cause the wisps to be pulled out in the characteristic horse tail configuration. Summer's over and Fall is upon us, but vacations come in all seasons. 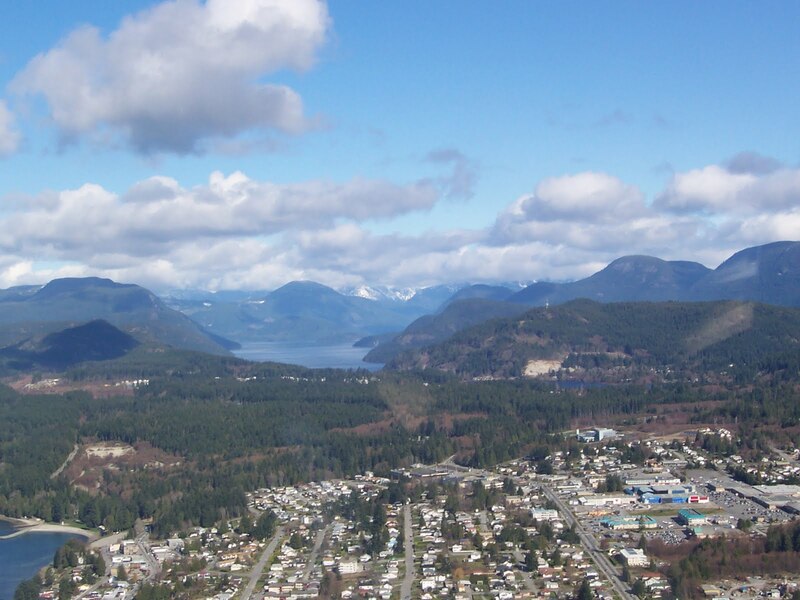 I invite you to come visit the most wonderful place on earth, Powell River, BC. 1. A coastal cruise. When is the mainland an island? When you need to take a ferry to get there of course. BC Ferries serves Powell River. You can easily turn your visit into a Circle Route vacation. Check out the Experience Card for extra savings. On the Vancouver to Powell River route you will travel through majestic fjords and pass towering snow-capped peaks. It's an E-ticket ride for sure. 2. Romantic places to stay. Up and down the Sunshine Coast you will find signs directing you to great out-of-the-way places to stay. South of Powell River look for Kent's Beach or Garnet Rock if you have an RV. Pull off at the seaside Suncatcher B&B or the Oceanside Resort and Cabins, or immerse yourself in history at the Townsite's Old Courthouse Inn. If you are headed north, try a cabin in the woods at the Desolation Resort and grab one of their fall specials or even try a float cabin. 3. Outback adventures. Fall is perfect for exploring the back country. Logging and forest roads take you to trails, lakes and quiet forests. 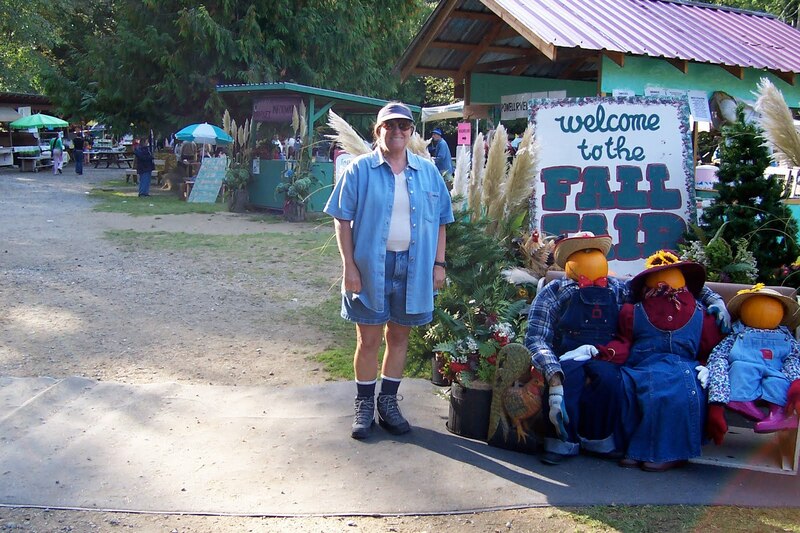 The Powell River ATV Club loves to help visiting riders. They even have a map book with GPS coordinates available at Guy's Cycle Works or Quality Parts. 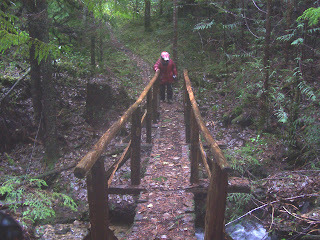 Some of our favourite destinations are Tony Lake, Edgehill Trail System and Elephant Lakes. 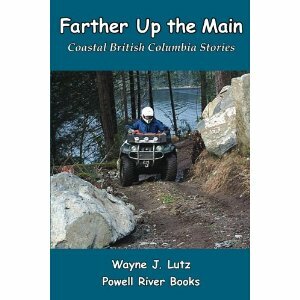 You can read about more ATV adventures in Up the Main and Farther up the Main. 4. Historic Patricia Theatre. 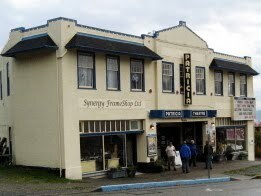 The Patricia is the oldest, continuously running theatre in BC. It started with silent movies in 1913 in an old mill building. In 1928, it moved into its current location. Walk in the front door and step into old time elegance. Catch the a first run film at 7:00 pm nightly or one of the Art Film series features. Adult tickets are $9.00 except on Monday cheap tickets night for $5.50. 5. Events and festivals. Powell Riverites love community events. Things not to miss include the Max Cameron Theatre series, Powell River Academy of Music series. September 24-25 Fall Fair, October 1 Salmon Celebration, November 22-27 Festival of Trees, December 3 Santa Claus Parade, and several holiday choral events. 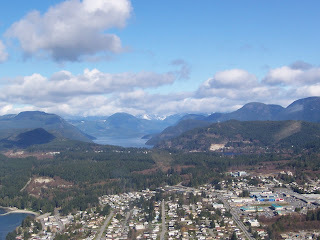 For more activities, read Around Town in the PEAK or PowellRiverDirect.com. 6. Hiking. 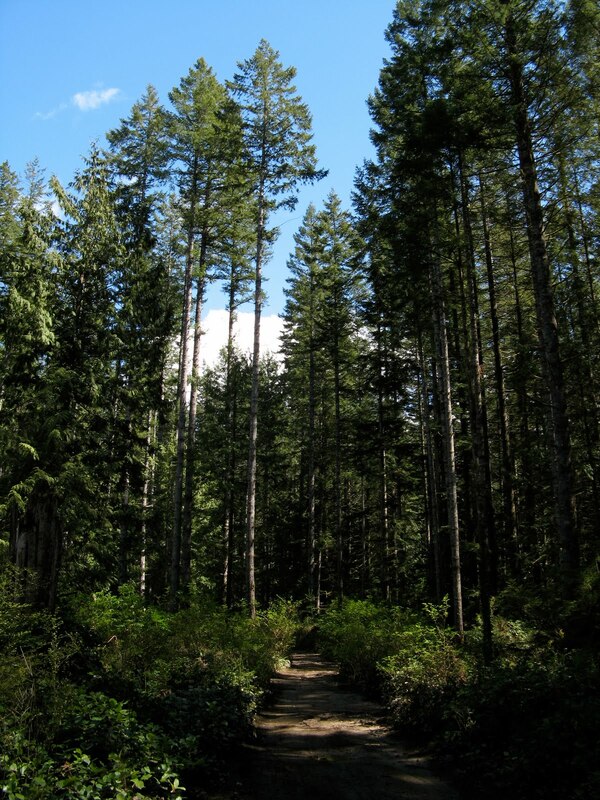 Whether it's a stroll down historic Willingdon Beach Trail or the 180 km Sunshine Coast Trail, we have a path for every ability. Inland Lake's circumnavigating trail is partially wheelchair accessible. Stop by Breakwater Books or Coles to get Eagle Walz's books (Sunshine Coast Trail Guidebook and Along the Edge of the Salish Sea) about hiking around Powell River or Wayne's Up the Winter Trail. Also, stop by the Visitor Centre for maps and information. 7. Heading up the lake. Fall is a wonderful time to experience life on the lake. I love living in a float cabin up the lake in Hole in the Wall, sitting in front of the wood stove fire with a good book. You can rent a float cabin to experience life on the lake for yourself. 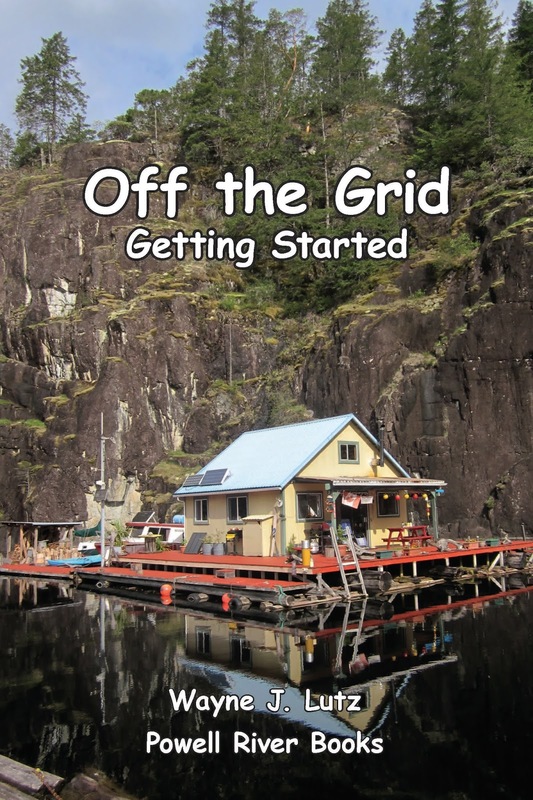 You can also read about off the grid living on Powell Lake in Up the Lake and Farther Up the Lake by Wayne J. Lutz at www.PowellRiverBooks.com. Powell River Books was discovered online by Editor/Publisher Laurie McConnell of BigPacific.com. She was very gracious about offering our little Powell River publishing company a reciprocal link on their list of Powell River Travel Resources. Just click here and it will take you directly to the page. Wayne and I want to thank BigPacific.com for this great opportunity. Locals and visitors alike go to BigPacific.com for a wealth of information. Learn more about the area, find things to do, select a place to stay, discover a new restaurant. 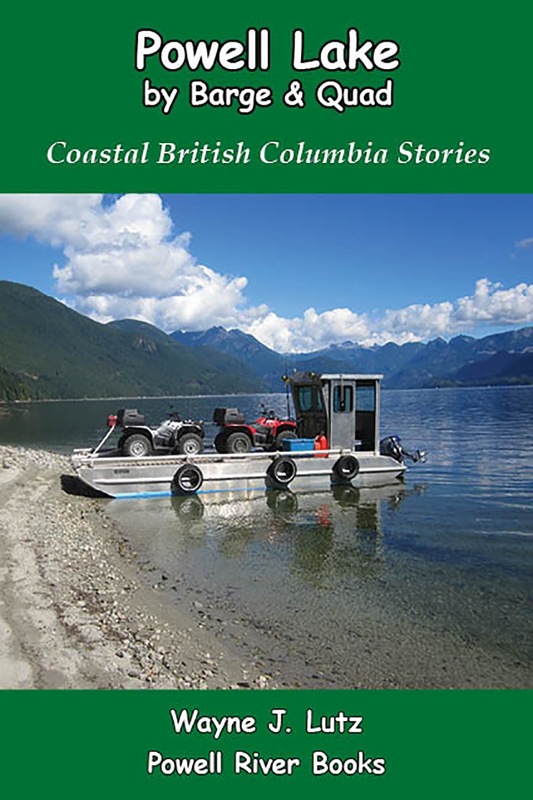 And it's not just about Powell River (even though I think it is the best part of the Sunshine Coast), it also includes information about everything from Gibsons to Lund. 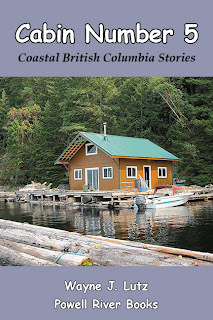 Big Pacific's Magazine -- This online magazine give you stories about the people and places all along the sunshine coast. There's even one about my online friend Duane Burnett. 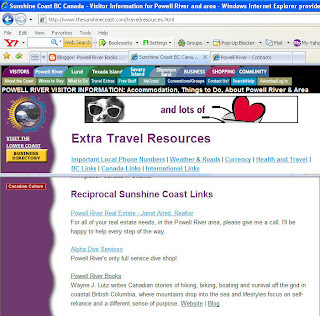 Sunshine Coast Social Network -- You can join for free. More active members are needed. If you'd like to communicate with other Sunshine Coasters, this is the place. Share stories, photos, videos and more. Hi. My name is Stick Tail, but Mommy calls me Kitty Cat and sometimes Pepper. I came to live with her in 2007 when we all moved from Los Angeles to Bellingham, Washington. My relocation was touted as "retirement," but I've been on the job ever since. You can read more about it here. One year ago this coming week, Mommy was rushed to the hospital for back surgery. 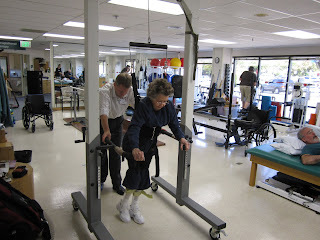 For the week she was in the hospital and the following three weeks of inpatient rehab, I bunked in with Wayne and Margy. But I sent this picture to go on the wall next to Mommy's bed, begging her to get well soon. I really missed her! I was so glad when I heard she was finally coming home to live with me again. Little did I know that things were going to be very different. Instead of walking through the door, she came in a big, black, scary chair with wheels. I didn't want my already shortened tail (thanks to a coyote in LA) to get stuck in that! But when Mommy got in her regular chair in the living room, I felt like she was really home to stay. My "furby" kind of love has been crucial in Mommy's recovery. Recently she gave up the hospital bed and bought us a larger one so we can cuddle like the old days. And I've gotten better about welcoming guests into our home. First came the visiting nurses and therapists, and now Home Attendant Care assistants regularly join us. And Wayne and Margy are around more often to make sure I get my "three squares" plus snacks a day. Mommy leaves me home alone somethings to go to rehab with Kenny at the St. Joseph Medical Center South Campus. He's helping her to learn how to stand and walk again, so I'm OK with that. Mommy sure is a trooper for being 95 years young. I hope I'm as determined at that age. The history of Bellingham is linked with trains. At the end of the 19th Century, regional lines were built to encourage economic development and to transport natural resources to market. Head on over to the Bellingham Train Museum for more information. Today, tracks run through downtown along the shoreline carrying passengers and freight from Canada to destinations south and east. If I leave my window open at night, I can hear their haunting whistles. Last weekend when I spent the night on our boat in Squalicum Harbor, I saw an interesting sight. It was an old caboose on a siding. You don't see many of those any more. And this one had seen better days. This is caboose number 10792 from the Burlington Northern Santa Fe railway. As you can see, she is in quite a state of disrepair. It made me curious to find out a bit about her history. Doesn't she look like she has lots of stories to tell? 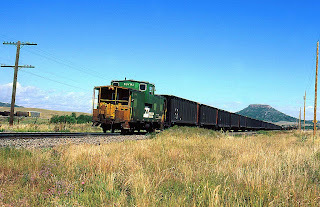 I went online and found this picture of her in 1983 from the Burlington Northern photo archive. As you can see, she has changed a lot in 28 years. Her side windows have been welded over for some reason. And obviously the paint has been changed and patched over and over. I also found a picture taken of her on the job in 1989. At that time she was seen passing through Greenland, Colorado. This was on the Colorado Joint Line that runs north and south between Denver and Pueblo. I found this picture at theBlueComet.com website. The next reference I found has her in located Vancouver, WA, in 1998. The final reference I found was at www.RailcarPhotos.com. By 2009, Caboose 10792 was in the Balmer Yard in Seattle looking basically like she does today. At this site I learned she was built in 1973, is 41 feet 8 inches long outside, and 30 feet long inside. Today is my first Rock Flipping Day. I've wanted to participate for three years now, but I've always been in the concrete jungle of Los Angeles and it just doesn't work out. But this year, I'm up north with lots and lots of great rocks to flip. I picked Squalicum Beach for my first rock flip. I figured along the shore there would be lots to see. The first section of the beach is sandy, but as you walk along the shore it turns to pebbles and then larger rocks. There were lots of wave smoothed rocks to choose from. 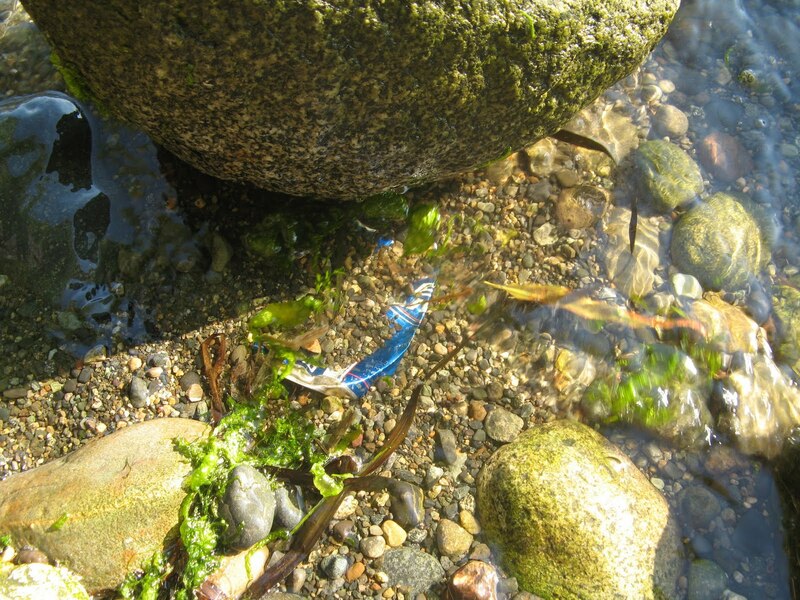 And the presence of seaweed along the tide line made me hopeful. I picked a medium sized rock at the water line for my flip. I figured critters would like the intertidal zone for a home. But when I flipped my rock over, here is what I found. What I found wasn't what I expected, a crushed beer can. I looked carefully but found no evidence of anything moving or tucked in a seaside home. I'm not sure what this says about my bay. It sure looked like good critter territory. Even though I found no visible life, I replaced the rock just in case there was someone down deep waiting for their roof to return. Would you like to participate? There's still a bit of time left. I learned about Rock Flipping Day from the current organizer, Susannah over at Wanderin' Weeta, but it was started by Dave Bonta and Bev Wigney in 2007. Here's how it goes. On September 11th find your rock(s) to flip. Replace the rock; it's someone's home. Post on your blog, or load photos to the Flickr group. E-mail Susannah a link or comment on any IRFD post. 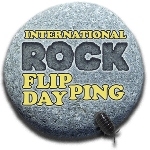 If you're on Twitter, the hashtag is #rockflip. Each summer we eagerly await the Barn Swallows who choose to raise their families under the peak of our roof. And I say families literally. Bert and his Lovely Lady arrive each year in early June. After a feeding frenzy on the newly hatched bugs, Bert and his Lovely Lady settle down to rebuild the remnants of their nest from the last year. Of course, we're not sure, but we believe the same pair returns each year. Both parents work on the nest, and tend their eggs and brood in tandem. In July, the fledglings are ready to leave the nest, and Mom and Bert waste no time rebuilding it to get one more batch of babies in before they have to leave for their winter home somewhere in Central or South America. Seems like there is no rest for the wicked, or mating Barn Swallows alike. Over the years I've written quite a bit about or Barn Swallows. Here are a few quick links. The sky above my floating cabin on Powell Lake in Coastal BC gives me lots of opportunities for spectacular cloud shots. Right in front of my cabin is Goat Island. This time of year the sun rises in the middle notch at about 9:00 a.m. Here you can see a mackerel sky just after our sunrise. When the lake is calm, we get a mirror reflection of the sky. Here's the mackerel sky framed by the brow log of our cedar log float structure. As I've mentioned, I like reading books about the regions I know and love, or places I would like to explore. 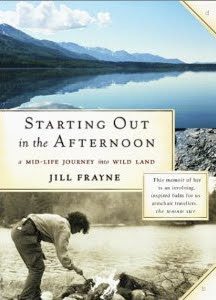 Recently I was exploring Kindle books online and found Starting Out in the Afternoon: A Mid-Life Journey into Wild Land by Jill Frayne. I selected her book for some additional reasons: Jill took the journey on her own (inspiring to me), and she is a female author writing a memoir (something I hope to do in the future). Jill was coming to changes in her life including an ending relationship and a daughter coming of age. She takes this time to strike out on her own to explore her own desires and abilities. She packs up her car with camping gear and heads out on her own to Northern British Columbia, Alaska, and the Yukon. I call my solo excursions "freedom trips," but I've never dreamed of or done anything quite as extensive. Jill first camped her way across Canada from her home in Ontario. 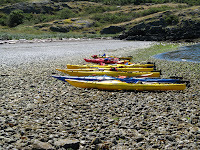 Her first destination is Haida Gwaii for a grueling two-week kayak adventure. Then it's up the Inside Passage with only a bike for transportation. On this portion of the trip, she takes a side excursion to Atlin. Jill falls in love with this isolated, rural small town and returns many times over the next ten years. I can relate to that. It's almost like our accidental discovery of Powell River and instant attraction. Jill is both adventurous and cautious at the same time. She puts herself in situations that stretch her abilities to the max. She enjoys the solitude of the wilderness, but desires human interaction along the way. Her story struck many common threads in my life. That made it even more enjoyable to read. You can purchase Starting Out in the Afternoon in both print and Kindle formats at Amazon.com.